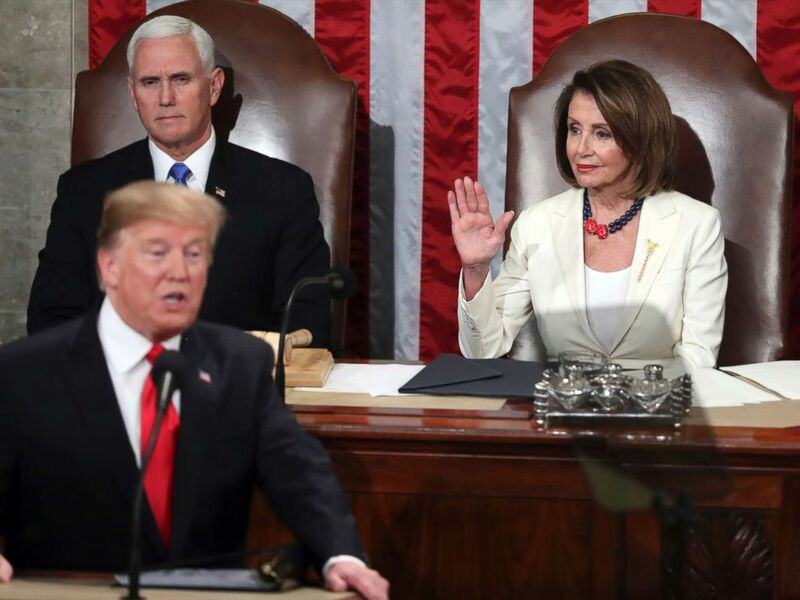 This was his first time addressing the divided Congress, which now features a Democratic-controlled House and the Republican-controlled Senate. Stacey Abrams made history Tuesday night by delivering the Democratic response to the State of the Union. She was the first African-American woman to give the formal response to the president's address. Our team of journalists from ABC News investigated some of Trump's statements and one of Abrams', looking for additional context, detail and information. The average household will see a tax cut of $1,610 in 2019 according to the Tax Policy Center, a nonpartisan think tank. Overall, most Americans -- eight in 10, according to the center -- will pay lower taxes this year. Context: Last fall, the government released a study that found Medicare -- the federally run health care program for seniors -- paid more than other industrialized countries for physician-administered drugs. While the precise amount varied by product, the study found that prices charged by those manufacturers are 1.8 times higher in the U.S. than in other countries. Fact check No. 4 -- Americans are murdered by "illegal aliens"
Context: According to U.S. Immigration and Customs Enforcement data, over the past two years, there were nearly 4,000 arrests made for people both convicted of -- and simply charged with -- homicide among immigrants released into ICE custody for deportation -- but the homicides could’ve been committed over any number of years. And while out-of-pocket spending for prescription drugs remained mostly flat in 2017 -- Trump’s first year in office -- out-of-pocket physician and hospital costs increased. Many of Trump’s ideas to drive down drug costs haven’t taken effect yet and are still winding their way through the rulemaking process. One proposal would upend the usual system of drug rebates when people buy prescription drugs through Medicare or Medicaid. The plan would prohibit drug makers from offering discounts or rebates to "pharmacy benefit managers” that administer drug plans. Instead, the manufacturers would be encouraged to provide rebates directly to consumers. Democrats pushed back, insisting they think the plan will raise costs for consumers. Context: Last fall Trump set the lowest cap in the history of the refugee admission program -- permitting just 30,000 a year. In former President Barack Obama's last year in office he proposed a cap of 110,000 amid the height of the crisis in Syria. In fiscal year 2017, the Trump administration allowed the second fewest refugees ever. African American unemployment is at historic lows at 6.8 percent -- but it has ticked up in recent months after hitting an all-time low of 6 percent toward the end of last year. Similarly, the Hispanic unemployment rate at 4.9 percent has ticked up from recent lows of 4.4 percent toward the end of last year. Context: It is debatable whether Trump's election has helped avoid a U.S.-North Korea war. No other president has aggressively pursued diplomacy with North Korea's leader, but then again, since the end of the Korean War, no other president has so openly threatened the regime. But North Korea did conduct a weapons test in Nov. 2018, according to the country's state media, although it did not involve firing a missile. The regime has also said its nuclear capability is complete and no longer requires testing. And satellite images have shown that North Korea has upgraded or expanded some ballistic missile facilities. Context: A Brown University study released in Nov. 2018 estimated the U.S. has so far spent $5.9 trillion on wars and military action in Afghanistan, Pakistan, Iraq and Syria since 9/11, including war-related spending by the State Department, past and obligated spending for veterans' care, interests on the debt incurred to pay for the wars and costs by the Department of Homeland Security to prevent and respond to terrorism. Another study, published in 2016, calculated that the U.S. had already spent or obligated $4.6 trillion on the wars in Afghanistan, Iraq, Pakistan and Syria, on Homeland Security, and for veterans' care through 2053. 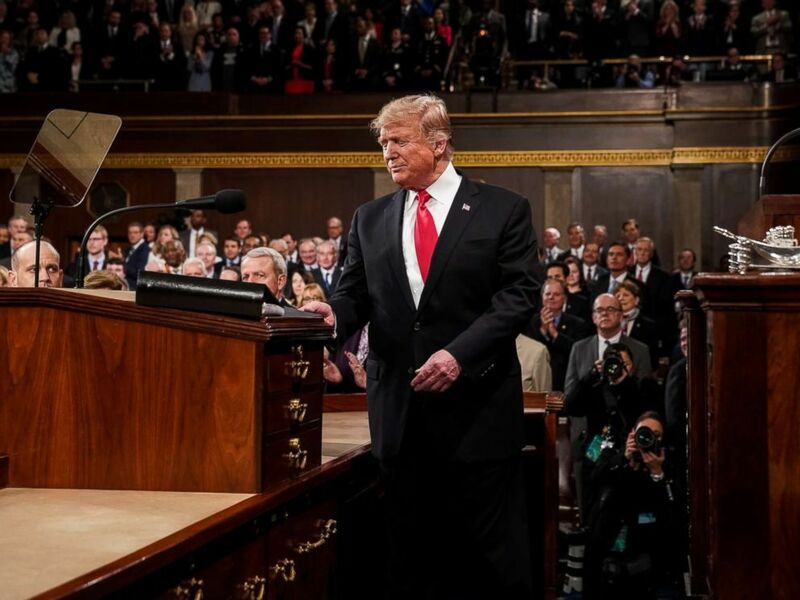 That study, by Brown University, calculated an additional $3 trillion in interest to reach $7.9 trillion, but that money has not yet been spent, as Trump claimed. The rapid increase in the number of drug deaths in recent years is largely attributable to fentanyl. But the fentanyl is mostly coming through the points of entry at the southwest border and it’s not just coming into the country there -- China is a significant source of fentanyl as well. Trump: “Nearly 5 million Americans have been lifted off food stamps." The Trump administration has repeatedly said it wants people to be off government programs like food stamps and become "self-sufficient," citing the improvements in the economy in recent years. But a decrease in the number of people using the program does not tell the whole story. For example, when a new deadline came around in Georgia in April 2017, thousands of people were no longer part of the program -- overnight -- because they did not obtain work. There has been debate over work requirements -- which is a federal mandate -- but the Trump administration in Dec. 2018 proposed to take away some authority of states to issue waivers for some in the program, unless an area's unemployment rate exceeds 7 percent -- a move to cut billions of dollars from the program over 10 years, according to the U.S. Department of Agriculture. 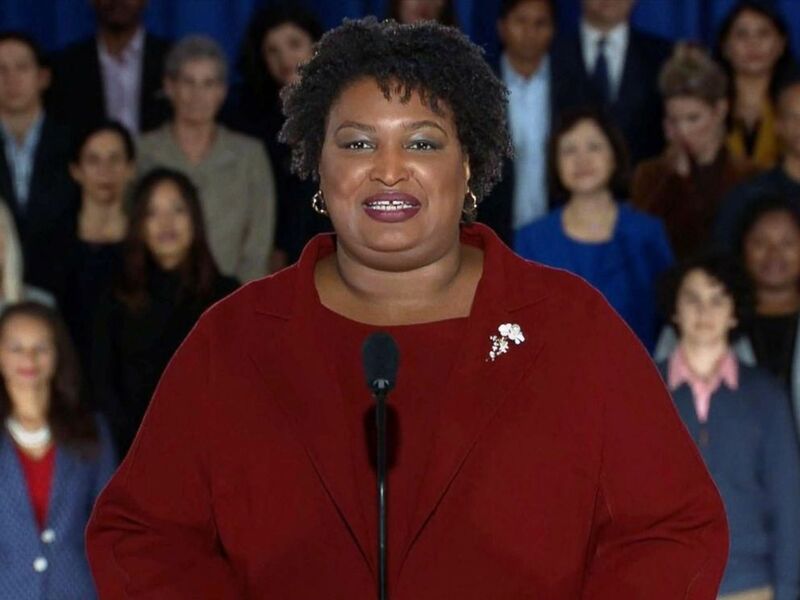 Stacey Abrams delivers the Democratic response to President Donald Trump's State of the Union speech, Feb. 5, 2019. Context: While U.S. unemployment under the Trump administration has remained low and the nation’s private sector has added jobs -- the real average wage, which accounts for inflation, has barely moved. In fact, according to a 2018 Pew Research study the average wage has the same purchasing power as it did 40 years ago. The gains went to the top earners, the report cites.